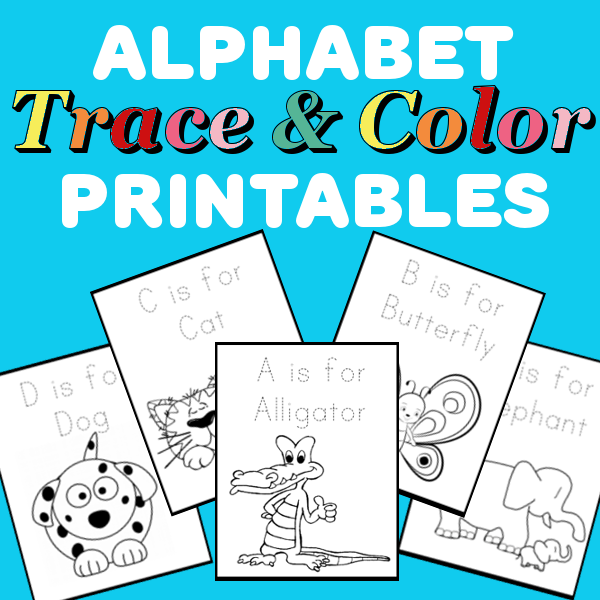 Creative Homeschool: A Relaxing Week. The weather finally dropped below three digits so the girls and I ended up playing outdoors most days. I handed each of the girls a bucket of water and a paint brush. 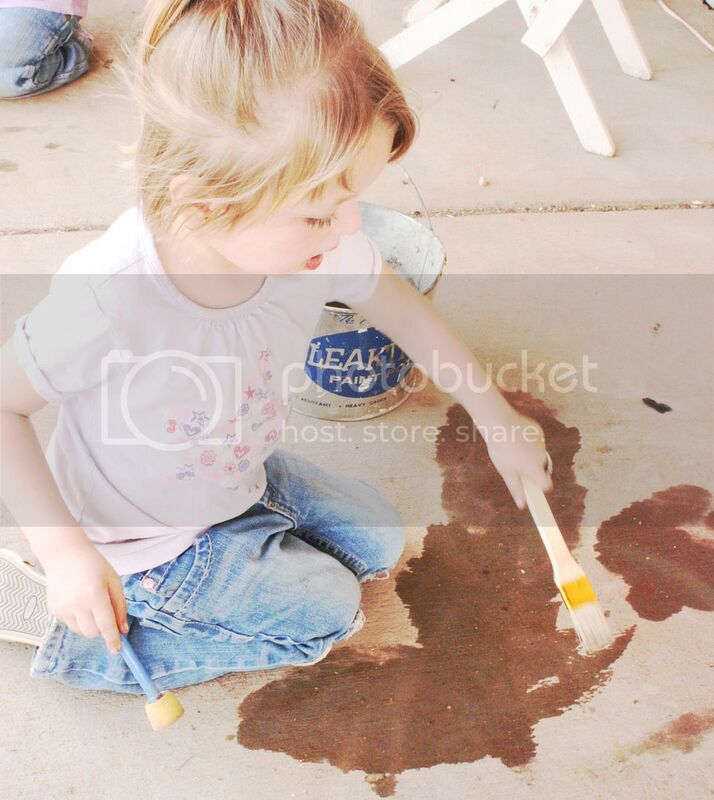 Jocelyn tried 'painting' the entire patio but was disappointed when the water started disappearing faster than she could paint it. I used this as an opportunity to explain evaporation and later that evening we read Follow a Raindrop. 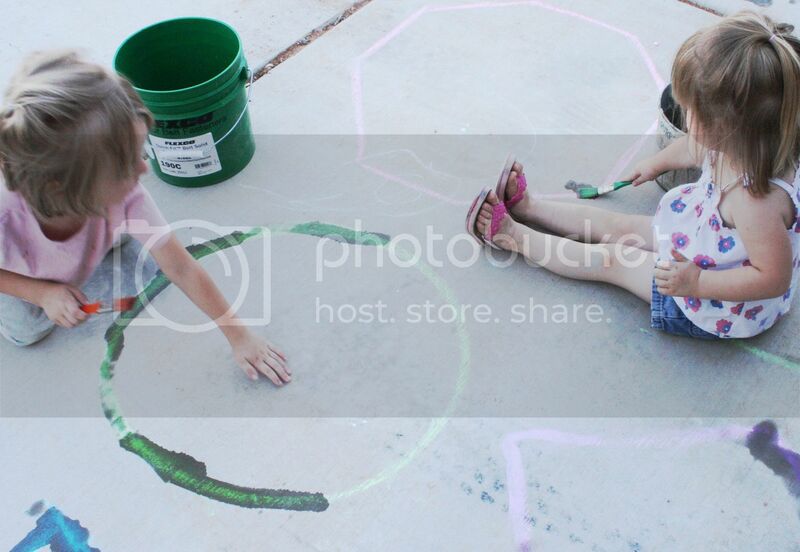 The girls also traced the chalk shapes on the sidewalk. They were amazed at how the chalk turned brighter when they painted it. I found this fun bug pack at 3 Dinosaurs for Jocelyn to work on. She is obsessed with bugs!! We also went of a fun nature hike however I am having trouble getting the photos off of my phone so I'll have to share those adventures in another post.